This week has some great releases. One thing before we get into it. Brazil is out on blu-ray this week. 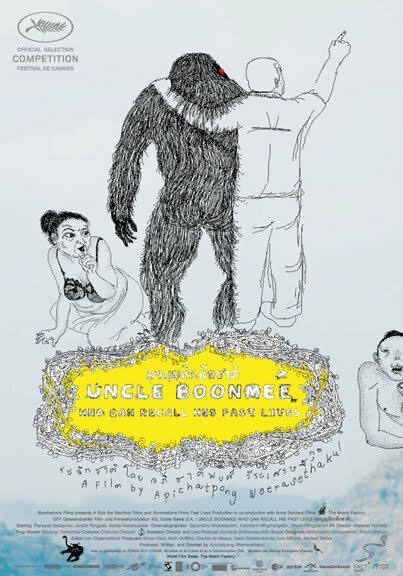 If you're one of those people who puts this movie at the top of their list, wait out, we've seen criterion put out an amazing set of this movie and I imagine eventually we'll get a similar blu-ray. I for one, am not a big fan of the movie. Fear and Loathing and Imaginarium of Dr. Parnassus work much better for me. Nothing beats Monty Python though. Alright here you go. A man who is dying returns home to spend his last days with his family encounters his son who is a monster and his wife who happens to be dead. Philosophical musings and beautiful nature photography abound in this film from this master of Thai cinema. Ok so my best friend Jake(the gentleman responsible for me writing this article) turned me on to this guy with the film Mysterious Object at Noon. That film, if you can find it still, is unlike anything I've ever seen. The director loves to push cinema in ways I really haven't been exposed to, and without being too cocky, that's a damn impressive feat. So when I heard he had a new film coming out I was ecstatic. Here's hoping the local video mart has a copy left in stock. Definitely my highest recommendation of the week for those of you willing to try something new. See the last Pirates movie? Yah me neither. I'm sure I'll get around to it but I'd much rather plop down 20 bucks and pick up this little film reuniting Depp with the original Pirates director. I didn't get a chance to catch this in theaters and am really excited to finally get around to seeing it. This is an oddball take on the western that some are saying is a shoe in for best animated film of the year. Everything I've seen looks great and as much as I love Pixar it'd be nice to have a change and see someone step up to the plate. Good family entertainment is a rarity these days with pandering LCD dreck littering the multiplex most of the time. Kids are kids...not stupid. Alright....you're either going to be crazy excited about this or groaning in disbelief at how awesome this could be. Either way I say you should always give it a chance. This is Seven Samurai in space with a decent amount of Star Wars thrown in that happens to have James Cameron as the art director and a script by John Sayles. 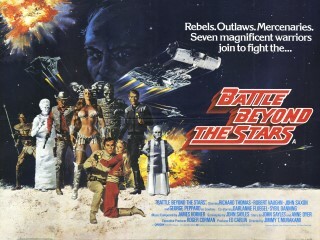 Mercenaries and Aliens and space cowboys? You B-movie freaks out there are really jonesing for this Corman film finally out on Blu, everyone else is just going to pass this by which is a shame. If you say you like Charlie Chaplin I hope you bothered to check out Buster Keaton as well. 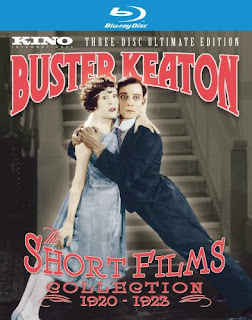 Here Kino presents Keaton's short films in high def. I've seen Cops and The Boat, but everything is brand new to me. Undiscovered Keaton? I'm definitely there. Keaton is a brilliant physical comedian, I'm definitely in the Chaplin camp, but I can definitely see the argument that comes up between the two. Really excited Kino has continued the great work they were doing in dvd bringing some little known classics to the public, and now venturing into blu-ray. A lot of great stuff here, definitely the release I am the most confident about. Keaton is always great. That's it for now, these weeks are just going to keep getting better and better. One last thought - Julian Schnabel's follow up to The Diving Bell and the Butterfly is released this year. 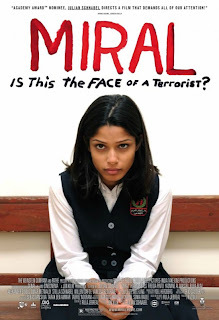 Miral stars Freida Pinto and tells a supposedly insanely convoluted story of Palestinian ideals....I'm excited to see it, but word is this is a bit of a downstep from his previous films. So, as dense as this week was this doesn't quite crack the "wish list" proper.